Belize City, about a 6 hour ride. I'm headed back to Belize in the morning. It's been about 6 months since I left, and I'll be returning for about 6 weeks. When I first left Belize last fall, I thought I would be returning in a month or two to teach a field school, but the class fell through. I was then offered the opportunity to teach a class at my home university during the spring semester. I've been a bit disappointed that my return to Belize has taken longer than expected, but getting back in the classroom was somewhat refreshing, and a good exercise for my brain. The class I taught was an upper-level undergraduate course about human diversity, held in a discussion-based format. During class, I would only give short talks or show a short video, and dedicate the majority of class-time to a full class discussion with the 15-20 or so students who showed up on a regular basis. Teaching about diversity can be fun, as there are limitless iterations of human ingenuity around the globe, and we end up talking about many aspects of contemporary human existence. Talking about contemporary humans, however, inevitably brings up the interconnections that exist between and within cultures, and the inequality that is all too often a part of those connections. In today's world, much of the globe is caught up in the webs of capitalism. As Anna Tsing has explained in her book, Friction: an Ethnography of Global Connection, there can't be any 'universal' globalization or global capitalism. Through their extension globally, however, they take on locally-specific forms, uneven, and often messy. And so in class, we talk about this messiness, and even more so about that uneven-ness. For it is the investigation of that uneven-ness, the inequalities, of globalization and global capitalism that seem to make students take pause, and to consider a little more deeply the effects of their capitalist-consumer lifestyles. Teaching this class right after living for a year and half in Belize, I found myself speaking of the small Central American-Caribbean nation often. Globalization and global capitalism are certainly messy in Belize, especially in the southern-most part of the country where I work. 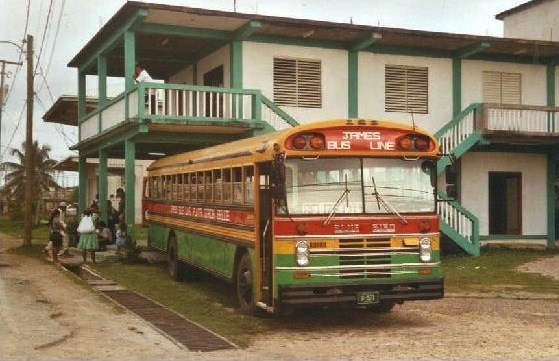 Once dominated, and largely ignored, by the British, Belize in general is now more closely related to the U.S. network of consumer capitalism. Still, and especially in the south, it sits on the margins, unable to find a way to even the playing field. The country finds itself in unmanageable debt, almost defaulting on its "superbond" loans of over a billion dollars - this in a country of less than 350,000 people - in 2012. Poverty rates are among the worst in the region, and unemployment rests consistently over 20%. Yet despite this uneven relationship with the global system, Belize remains a refreshing respite from the capitalist rat-race. In Punta Gorda, the largest market town in the south of the country, there are virtually no traces of national or international corporations. Besides a few small business owned by expatriates from the US and elsewhere, a Canadian bank is about the extent of the international incursion so far. There are no chain restaurants, no malls or department stores. There are no car dealerships or movie theaters, and no resort hotels or luxury spas. PG, as it is called locally, remains one of the more "local" towns in the country. And while jobs are scarce, money is short, and there are plenty of problems, people there are generally doing ok. There is widespread small-scale food production, people still share and help each other out, and you can still buy your groceries (and even your gasoline) on credit (your name and what you took from the store is hand-written in a spiral notebook). In some ways, PG tilts more towards the local than the global. To many outsiders, PG is a place forgotten or left behind. Many visitors find it boring and even unappealing. I would argue that these people are missing the point. In its inequity on a global scale, in the uneven level of its playing field, PG has retained a certain humanity that is fast disappearing around the world. Similarly, as scholars and teachers, we are often quick to frame uneven-ness and inequality in negative terms. Doing so, however, fails to recognize the richness that truly exists in the vast diversity that has become of globalization.